As we near the end of Summer, we are wrapping up some of the major community events and concerts in Kit Carson Park. 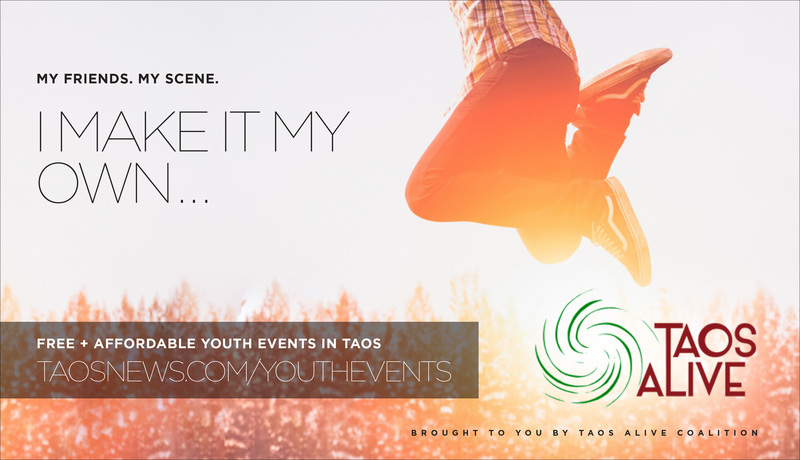 We have been showing our presence hosted by Taos Alive & Rocky Mountain Youth Corps. We use Environmental Strategies to decrease Youth Substance Abuse in our County. We have been informing about substance abuse facts as well as offering anonymous breathalizer tests to ensure we are all getting home safely. Taos Alive is proud to welcome our new Staff Members, Andy Jones and Monica Trujillo to our team!Andy Jones, Taos Alive’s new Prescription Drug Abuse/Misuse Workgroup Coordinator, is a veteran journalist with more than 15 years of experience. As a graduate student at the University of New Mexico, studying Community and Regional Planning, Jones is transitioning to a new role in community organizing and outreach. During a brief stint with The Waite Company, Jones worked in the developmental stages on a statewide campaign for the New Mexico Department of Health to spread awareness about the state’s opioid — specifically prescription opioids — crisis. He is looking forward to this opportunity to strengthen Taos Alive’s coalition work on this issue. a new but similar aspect of health. She desires to be not only an educator but also a support to our community. Substance abuse is a current issue that needs to be addressed and she believes the best way to enforce prevention is to educate at a young age. I’m pleased to be a part of an organization that implements and supports a drug-free safe community for our young and their families. 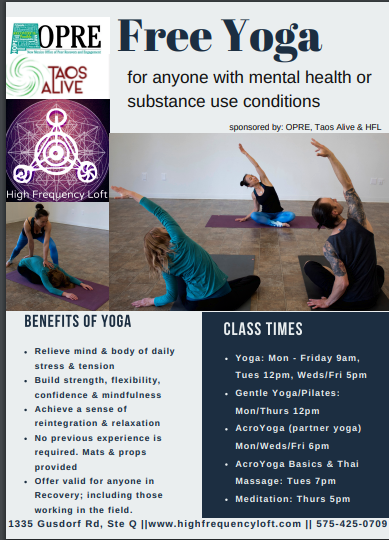 At Taos Alive Coalition, we continue to train our staff members to remain updated with Substance Abuse Prevention work. Both Julie Bau and Alana Lee the Community Anti Drug Coalitions of American (CADCA) Mid Year training institute July 14 -20 in Orlando Florida. The Mid Year training institute is designed to train coalition leaders, members and youth on the latest drug trends, prevention efforts and best practices to address the drug issues local communities are facing. During this training their was.a big emphasis on the prescription drug/opioid issue that communities are facing. One training in particular that both Julie and Alana attended focused on how prevention coalitions span the continuum of care from prevention, intervention, treatment and recovery with the opioid epidemic and how that is changes the face of prevention. We also attended "Is Implicit Bias prohibiting cross sector collaboration and culturally appropriate prevention strategies". This training had to be my favorite, it challenged the participants to understand that their implicit bias affects all of us. Their were some intense moments, but the healing that happened in the room was phenomenal. We will be sharing more of what we learned throughout the year in each of the workgroups. Visit the FREE youth events calendar to the community. Check out the Youth Calendar online and submit any substance-free youth or teen event. All entries will also appear in print for the Calendar section of the Tempo.